Despite major improvements in recycling, the pulp and paper sector contributes to numerous environmental problems. To reduce impacts, and to establish a “circular economy” for paper, a detailed understanding of paper production and consumption is needed. A new study by UCL ISR’s Stijn van Ewijk and Paul Ekins shows material flows in the global paper system. Material inputs and outputs were calculated for all life cycle stages including forestry, wood pulping, recycled pulping, papermaking, and waste management. The study argues that the use of the collection rate as a recycling metric does not directly stimulate avoidance of virgin inputs and associated impacts. A better and more accurate indicator is the recycled input rate which divides paper for recycling by total fibrous inputs. 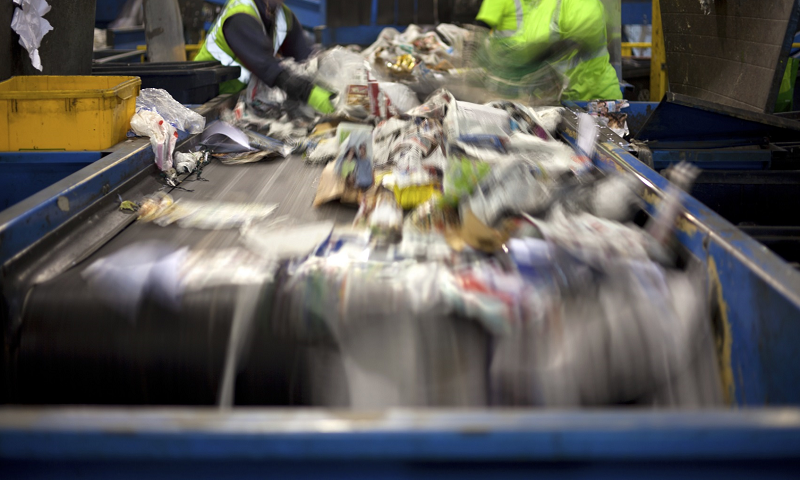 The recycling metrics are more meaningful if the achievable potential is known. The technical recycling potential is constrained by additions to stock and losses to sewage. Assuming effective control of contamination, the fraction of paper for recycling in total fibrous inputs can still be almost doubled. The study also finds that material efficiency metrics are more useful when they consider the reuse of waste material. The material balance developed in this research provides a solid basis for further study of global sustainable production and consumption of paper. Paper is widely recycled but there is room for improvement. Our analysis shows that the fraction of recycled material in total fibrous inputs can still be almost doubled.